Ensure your friends know where you stand when you show up at the next game day barbecue or tailgate with the New Orleans Saints Kitchen Knives Set of 5. 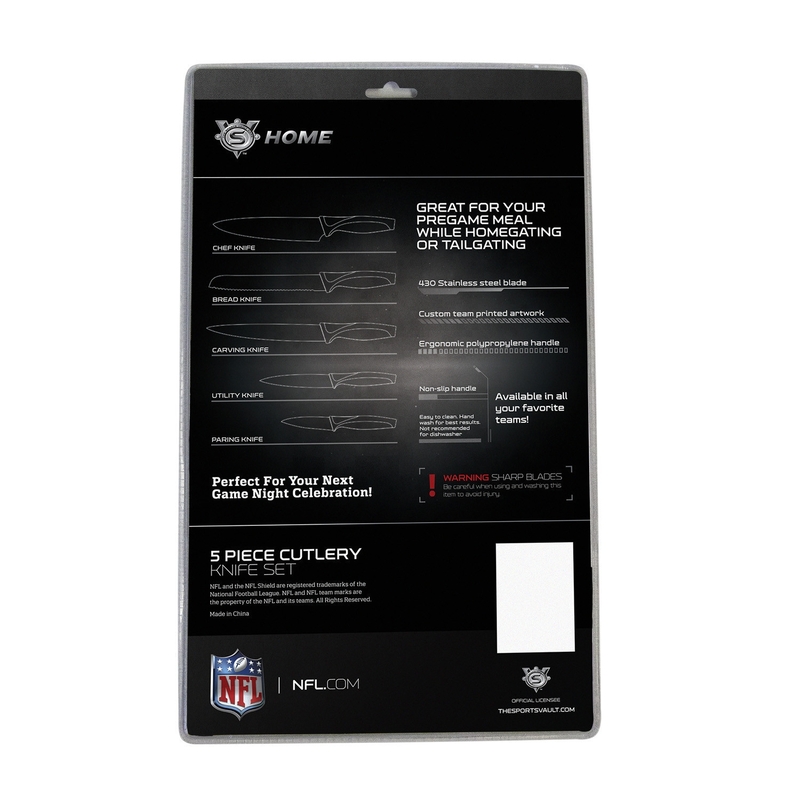 This knife set is officially-licensed by the Nfl and designed with the highest level of craftsmanship. 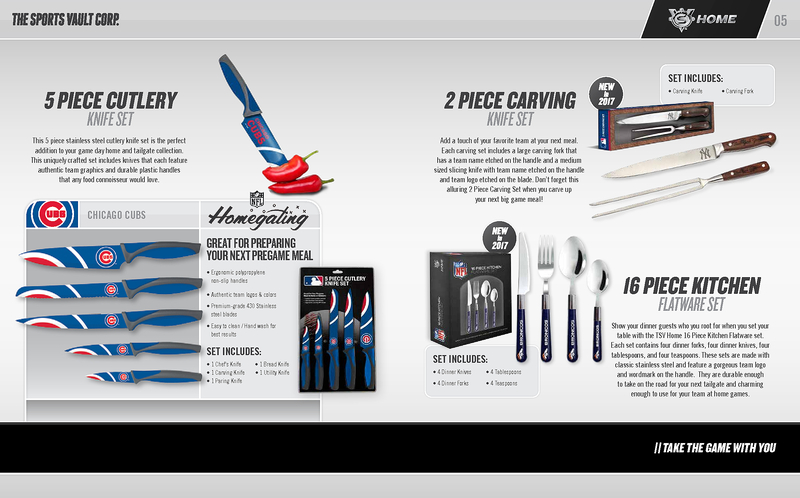 Every set comes with a bread knife, chef's knife, utility knife, paring knife, and carving knife. 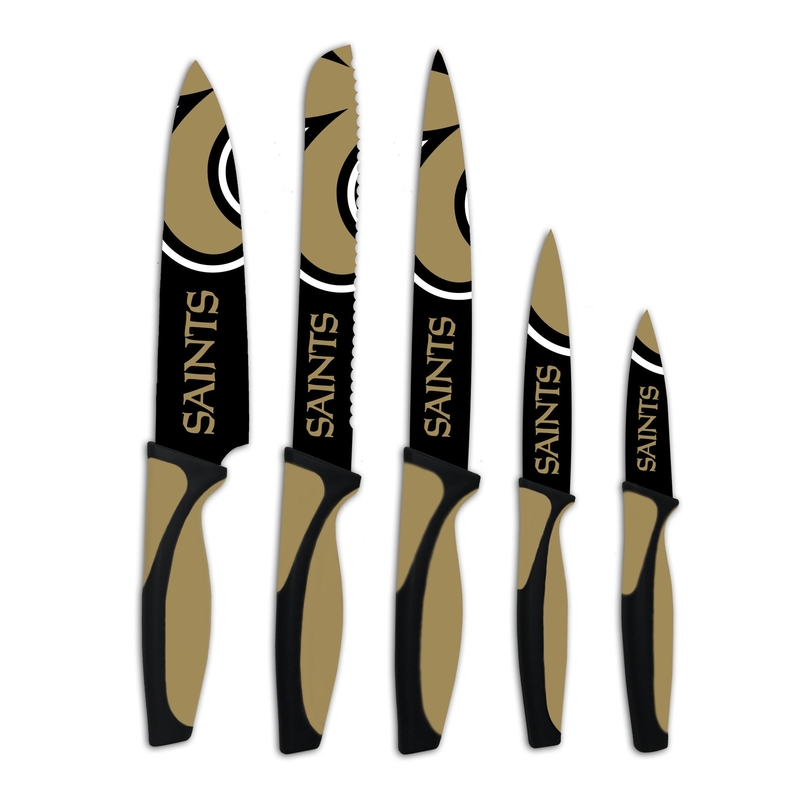 The New Orleans Saints Kitchen Knives Set of 5 makes a perfect gift or personal keepsake. The knives feature brilliant artwork that extends from the handle to the full extent of the blade. The handles are easy to clean, non-slip, and designed from polypropylene for enhanced ergonomics. The blades are crafted from stainless steel for durability. Represent the New Orleans Saints to the fullest with the New Orleans Saints Kitchen Knives Set of 5. 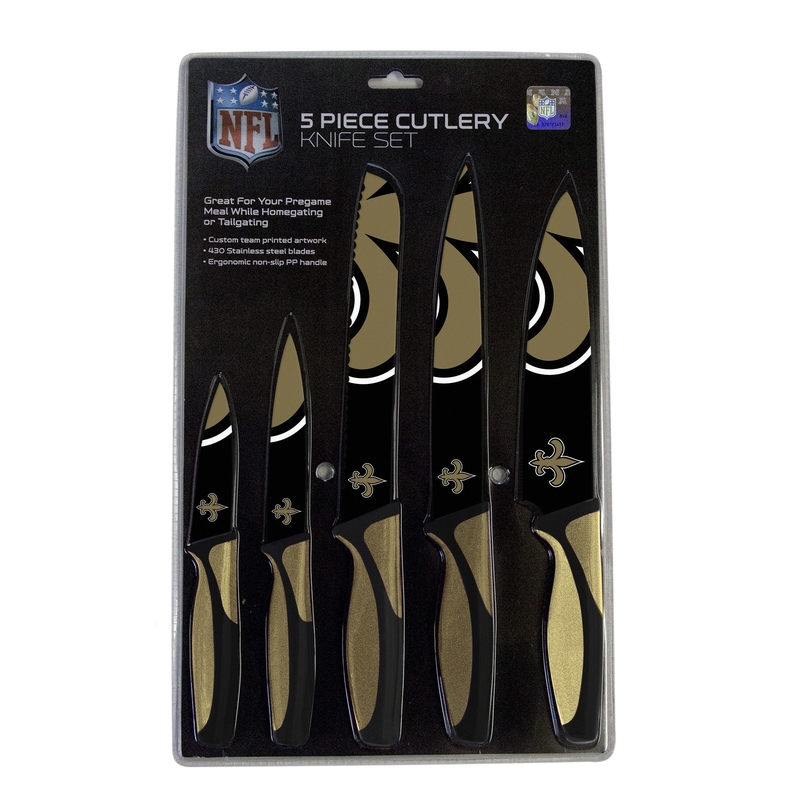 Order the New Orleans Saints Kitchen Knives Set of 5 today.